Maribel Marin, executive director of one of the top 211 services in the U.S., talks about consistency and quality in employee performance. Maribel Marin is the executive director of 211 LA County, a nonprofit organization that helps more than 500,000 individuals and families in Los Angeles County access health and human services each year. 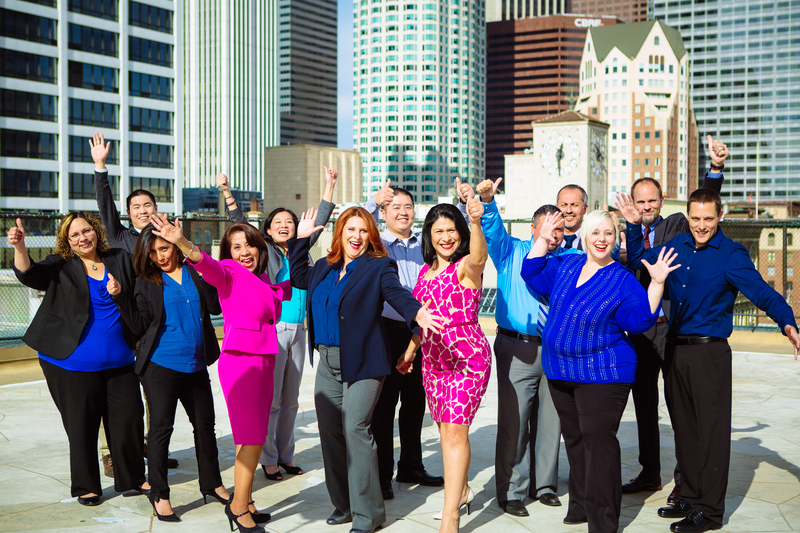 Under Maribel's leadership, 211 LA County has developed into a performance driven, award-winning information hub that designs and implements public sector solutions. Maribel's approach is simple, yet effective: get employees involved and willing to experiment, then use their expertise in your final product. The result is loyalty, acceptance and a "we're in this together" atmosphere. Here, MissionBox co-founder and CEO Kathryn Engelhardt-Cronk talks with Maribel about incentivizing high-quality employee performance. You've played an instrumental role in the growth of 211 LA County. What was your starting point? When I joined the team, 211 LA County (formerly known as INFO LINE of Los Angeles) was a sleepy little organization. We didn't really have any hard technical or data analysis skill sets. A handful of people had come from other professions or careers, but most staff members had been promoted from within. Collectively, we knew very little about our system and our data. We had manual processes and weren't really looking at our data. We didn't know where — or how — to improve. We were really at a point where we had to start all over again. Starting over is a monumental task. How did you begin to make changes? I came to 211 LA County with plenty of experience setting up performance-based systems, so I began by working performance standards into our strategic plans. At the same time, the county — which provided our funding — was moving to a performance-based contract. That opened the door to including performance management standards in the union contract. From there, the standards trickled down to staff members. Now, performance standards are a fact of life at 211. How do you feel about setting expectations for employees? Employees want clear rules of the game. They want to know, "OK, I'm doing the job that I'm expected to be doing." If expectations in the work environment are abundantly clear, you can achieve consistency. In turn, consistency allows you to measure quality. What have you done to achieve consistency and quality in employee performance at 211 LA County? It was a huge, huge job! We went through all of the materials that explained how to handle a call or how to do a particular task and we standardized the instructions. It took us almost two years to get through every single task that needed a protocol. In some cases we were rewriting existing protocols, and in other cases we were designing protocols from scratch. To keep it interesting, we encouraged people to take initiative and do things on their own — and then come back and present their protocols to the group. Some people would role play their protocols while others would make little videos. The creativity in the presentations helped keep everyone engaged. Later, we took the same group approach for service problems (which hadn't been updated since they were created). The result was standardized protocols that help us achieve the best possible results every day. What strategies have you used to motivate and reward employees for participation in the new system? We have a point system in which employees earn points through things such as participating in special projects, submitting great ideas or getting compliment calls. Points can then be redeemed for tickets to movies, amusement parks or other activities. We also have a financial incentive that allows employees to earn up to an extra $4,000 a year by exceeding standards or hitting metrics that exceed the requirements. Maribel Marin is the executive director of 211 LA County, a nonprofit organization that helps more than 500,000 individuals and families in Los Angeles County access health and human services each year. Maribel also serves as president of both the California Alliance of Information and Referral Services (CAIRS) and 211 California, as well as a member of the advisory committee for California's Aging and Disability Resource Center. A graduate of the University of California, Berkeley, and the Massachusetts Institute of Technology, Maribel's background is in urban policy and performance management. Prior to joining 211 LA County, Maribel worked with the Natural Resources Defense Council and the City of Los Angeles.